The most famous brawl in the recent history of south east London will be commemorated this weekend in and around Deptford and New Cross. 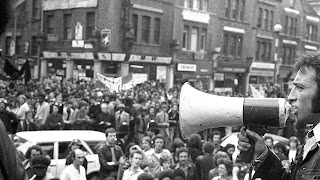 On 13 August 1977, the National Front planned a march from New Cross to Lewisham against a background of ongoing racial tension in the area. The situation had been fuelled by dawn raids in the area earlier that year in which 21 young black people had been arrested, with the police claiming that they had been responsible for 90% of street crime in south London over the preceding six months. Subsequent demonstrations in defence of the accused had been attacked by the National Front and race relations were at a low point. A number of anti-fascist and anti-racist groups organised an opposition rally, assembling some 5,000 people in Ladywell Fields before deploying to try and stop the National Front demonstration. Initial efforts to stop the march were unsuccessful, with several thousand police playing a contentious part in accompanying the estimated 500 National Front members on their route, and the two sides ended up coming into contact on Lewisham High Street, where violent clashes ensued for more than an hour between the two sides as well as the police. Riot shields and batons were used for the first time on the British mainland. In the end the NF abandoned their march and the protestors claimed victory, although there were conflicting opinions on whether the opposition had been successful in winning wider public support at the time. Ultimately it has become a symbol of community solidarity against racism and a badge for SE London to wear proudly. There is plenty of fascinating material online about the clashes, including eye witness accounts and newspaper reports. To celebrate the 40th anniversary, Goldsmiths has organised a series of walks, talks and shows culminating in a community festival on Sunday 13th at the Albany. There's an exhibition of photographs on show at Goldsmiths until the end of the month, a maroon plaque commemorating the event will be unveiled on Clifton Rise on Sunday between 12 and 1pm, and a gig at the Albany on Sunday night. See the website for full details of events. Cafe Royal Books has also published a book of photographs which are available here. 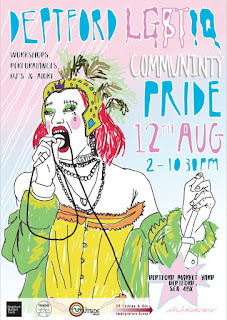 First in what's intended to be an annual event, this weekend sees Deptford LGBTIQ Community Pride 2017 being launched in Deptford Market Yard. There's an afternoon of workshops, stalls in the yard and a programme of entertainment in the evening - and it's all free to attend! 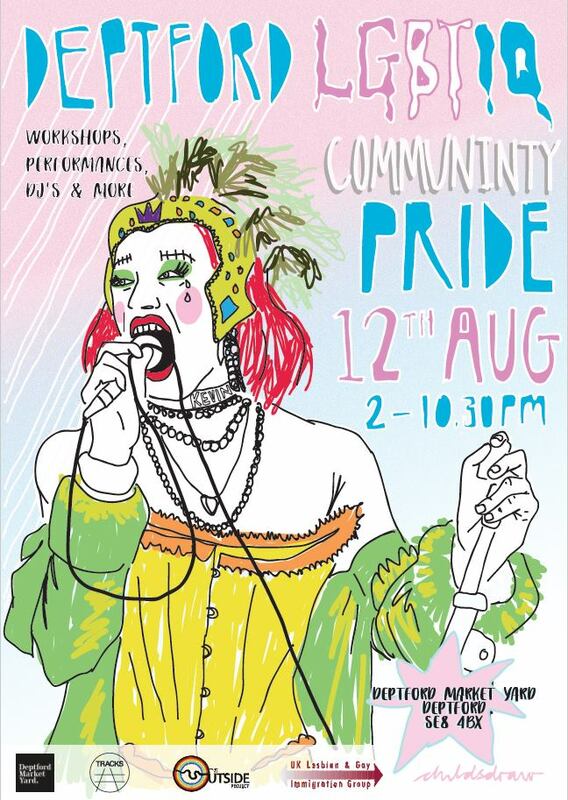 "The event will consist of empowering workshops, inspiring activist stalls and amazing performances and DJs. Our compere for the day is the sasssy Kevin Le Grande: not only is she a 6 foot tall gorgeous leggy blonde, she is also a Queer cabaret and performance artist. Using speech, song and dance to discuss politics and share stories for comedic affect, she has performed in venues all over the country. We are excited to have her as our compere for the entire day. She’s sick, she’s tired and she has something to say!"